Learn to defend yourself and those you love. Our mission is to promote the original intent of the Second Amendment as an individual right. 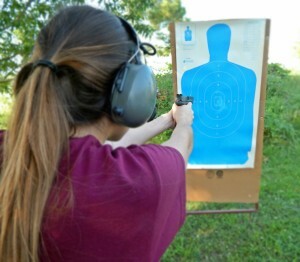 We provide firearm safety and marksmanship training to all levels, especially non-shooters and young people. We are a family owned and operated business that began in 2002 in the Thibodaux area of southern Louisiana. Since that time, our goal to provide new shooters with the knowledge and skills to safely handle firearms has grown to include more advanced self-defense training. The Hickman Group offers hands-on handgun, rifle, and shotgun courses. Our classes provide solutions to real-world problems. We work to see individuals equipped to defend themselves and their loved ones. Bill Hickman is an NRA Certified Chief Range Safety Officer and NRA Certified Instructor in the disciplines of Pistol, Rifle, Shotgun, and Home Firearm Safety. He is also registered with the Louisiana State Police to teach Concealed Handgun Classes. The Hickmans continue to expand their knowledge and skill base by attending self-defense courses and seminars.